We did it!!!!! 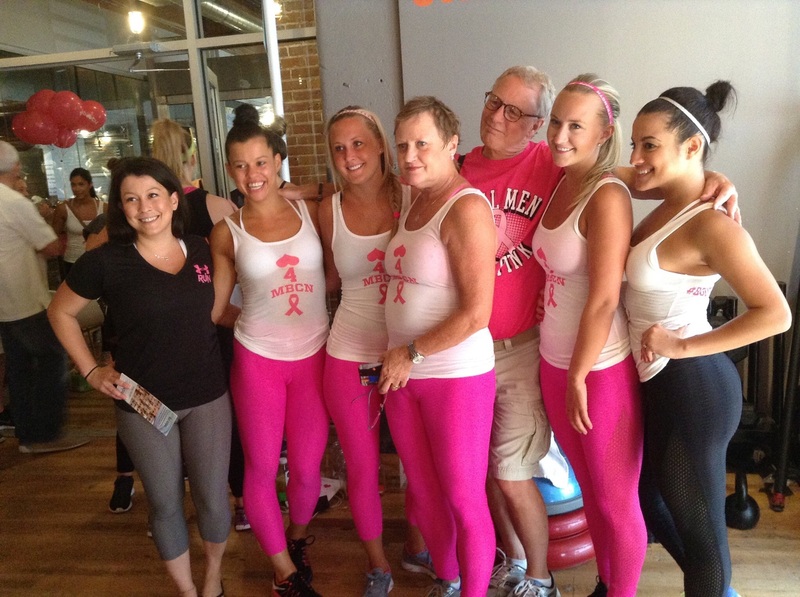 We managed to raise over $17,000 and a lot of awareness for MBCN (Metastatic Breast Cancer Network) and have a lot of fun doing it! Saturday brought a lot of emotions–nervous anxiety at not knowing what to expect and a huge feelings of love and support from all the people in my life that showed up. Love shows up, always. I was over whelmed by family, old friends and new friends and the positive, happy spirit of the occasion. Loved seeing my McLean pals. And Kelly crushed it!!!!!!!!!!!!!! 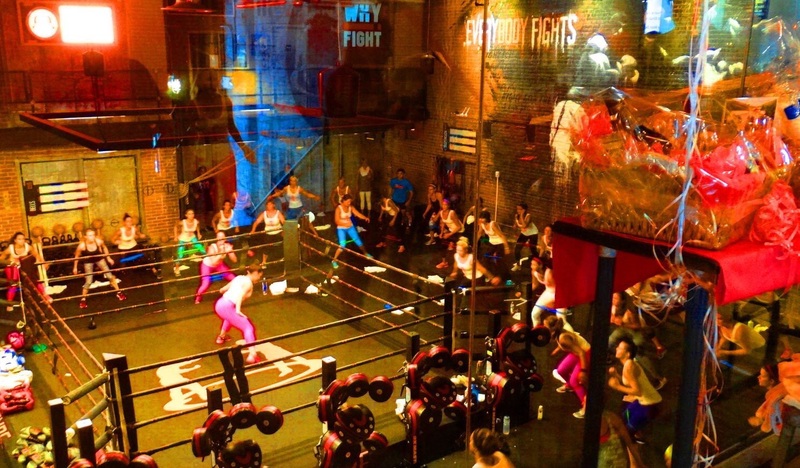 She is one tough, badass trainer and amazing at what she does. Incredible sight—–seeing her in the main ring directing over 70 people, WOW! The whole Brabants family threw themselves into this event, so supportive of the kids and us. Bridget was more focused than ever, so determined. 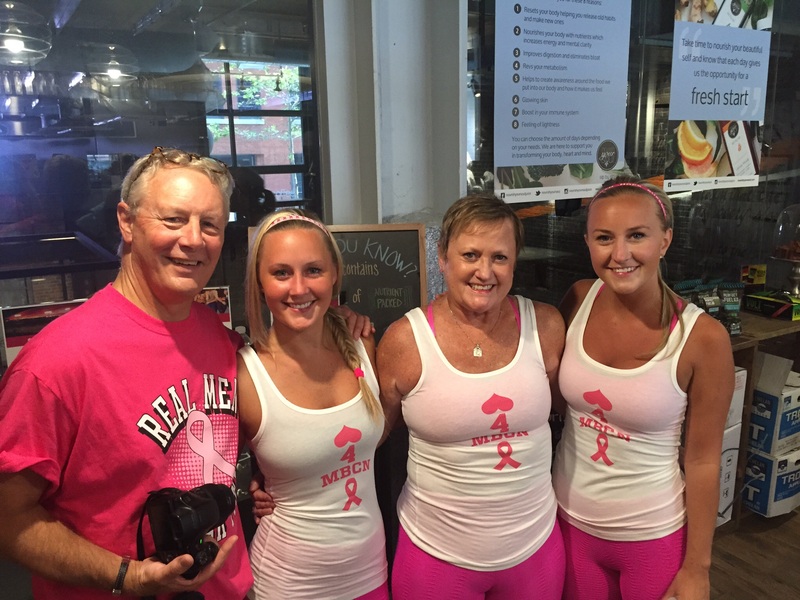 Special shout out to Stephen and Carol Marcus, our biggest supporters who definitely put us way over the top! A thousand thank you’s are not enough everyone. 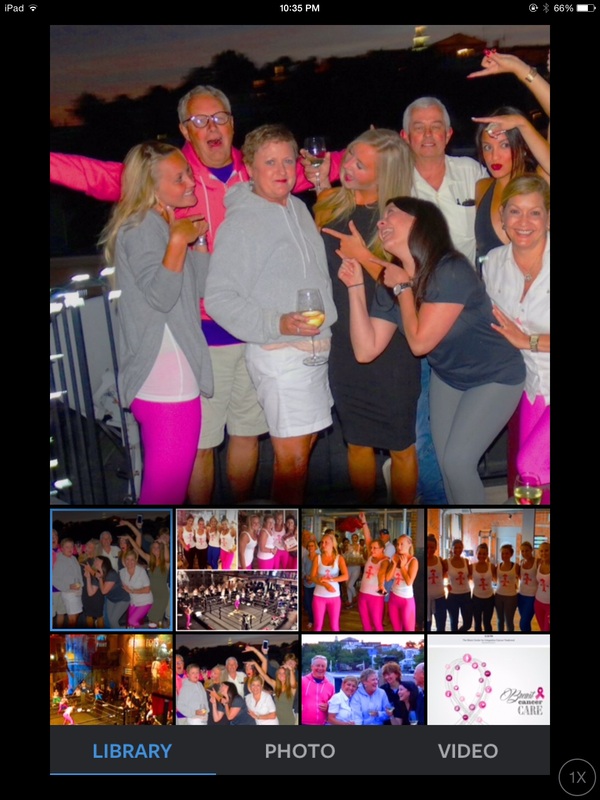 After the event about 40 of us continued on to the deck at Barlow’s for food, drink and celebration of our success. 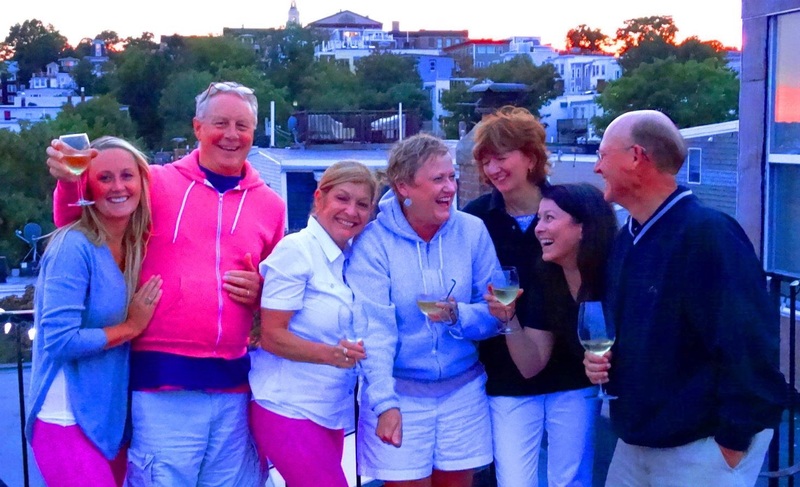 Beautiful evening, good food and wonderful friends like Carla, Adriana, Sharon, John….. Next it was on to the roof deck of the coconuts apartment in Southie for more high jinks and love and laughter. This life doesn’t get any better than being together! 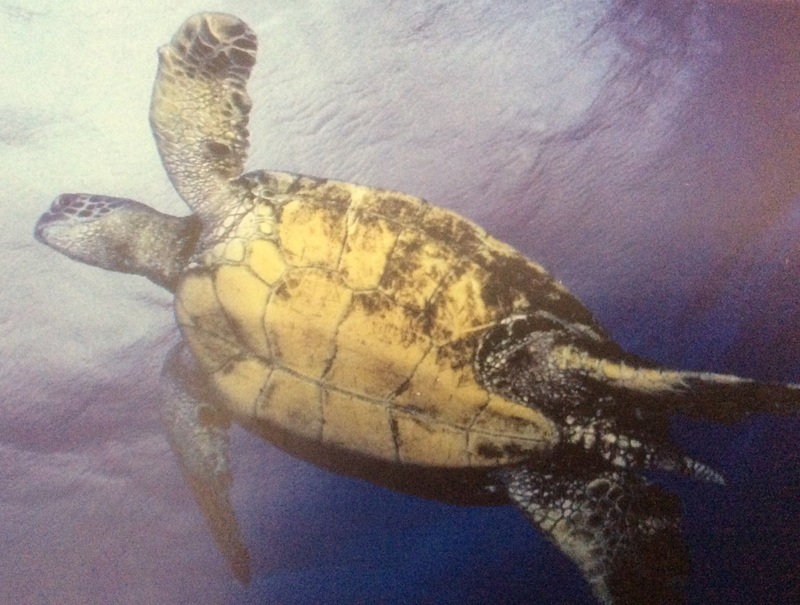 Thank you to Cindy L. for sending me a picture of a large sea turtle–my spirit animal, LOL. I am still laughing about Elizabeth’s staging of a beach scene in our backyard. She managed to make it to the fund-raiser on her way to the airport enroute to California. 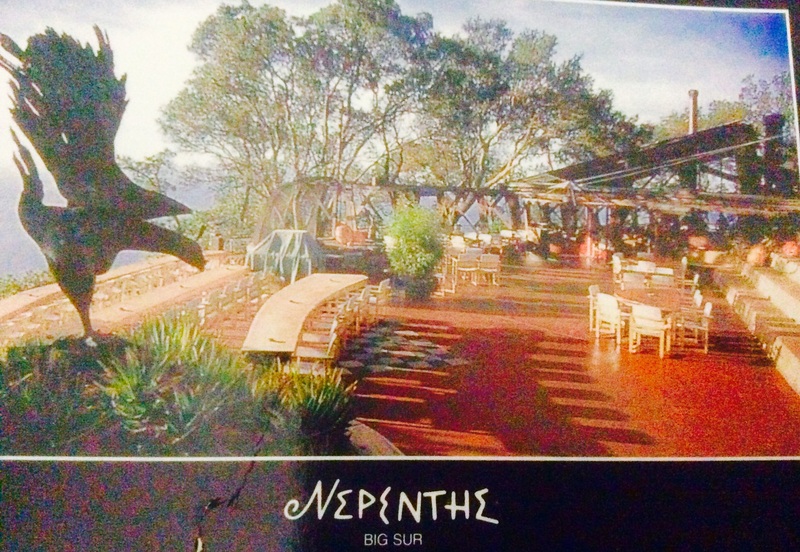 She was speaking to Tim when he yelled out to me “Hey Barb, what’s your favorite place in the world?” Without hesitation I responded “Nepenthe in Big Sur.” Two days later she sent me a picture from her perch at Nepenthe!!! PS–Nepenthe means “place of no sorrows”–kinda why I love it. Because of the newspaper articles about me recently and Facebook I have been hearing from kids I have worked with over the past 10 years. It is fantastic to hear from them and to feel I have made a small impact in that they remember me and want to reach out. Pretty cool, feel tearful when I try to speak about it but it is everything to me. 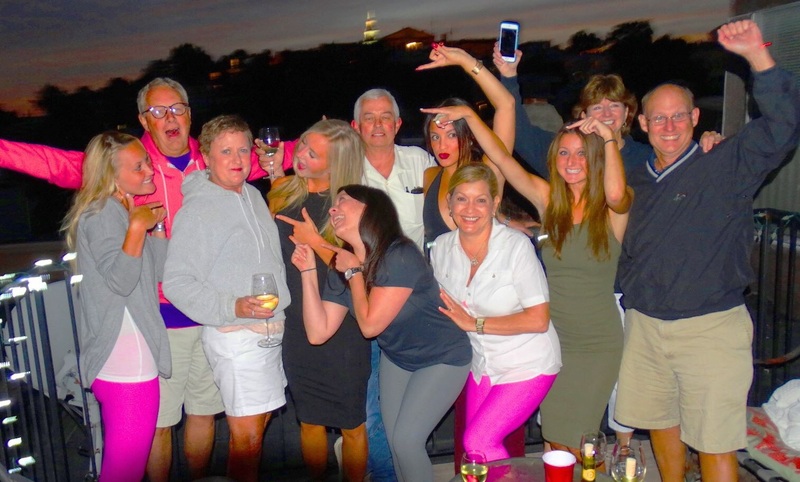 Sunday we dined in Boston at the Seaport and stopped by Kelsey’s roof deck for a quick visit. Yup, I fell down, or rather slid down the bottom of the fire escape, very noisily, effectively scaring the crap out of Tim Blanket and Nurse Kelsey who immediately swung into action. Besides my pride, my elbow was bruised. Jeepy broke my fall. Yup, that. Tim works in Rhode Island which does not celebrate MLK Day (the nerve). Instead they celebrate Victory Day, whatever that is, in August, so he had Monday off. So…off we went to spend the morning at the Mass Teacher’s Retirement Board in Cambridge. No, I am not retiring but we had a lot of questions about my stuff and a game plan going forward–would I qualify for disability if I became physically unable to work (no), discussion of the years I worked part time when my kids were born and if I could buy back time (no), an outstanding $800 bill from my previous school district because they did not take out enough deductions one year, beneficiaries, choices of how my pension will be disbursed upon my demise. Fun times! Not. I actually looked around for a waste basket to throw up in but couldn’t find one so had to sit very uncomfortably through all this discussion about my death. I survived, we got our answers and out the door. By the way the MTRB is very Zen like, kind of like Cancer House, weirdly. All hushed and quiet, swishing doors, nice people. After that Tim decided to drop me off at the Boston Common to hang out alone while he had Daddy time with Kelsey over lunch. I wandered through the Common and Public Garden and headed up Newbury St. The wheel chair guy that sells water from a cooler has jacked up his prices to a $1.50–inflation. I made my way to the mother-ship, Anthropolgie for retail therapy and then headed to the Prudential Center. I felt like I had been thrown into a Cuisinart with so many changes and so much construction. It was hard to find an entrance so I thought I would cut through Saks—-my phone rang and once again it was the specialty pharmacy that provides my chemo with a thousand questions about my insurance. I found myself kneeling on the floor in the Prada section digging out my card and trying to explain that Pfizer, the drug maker, had issued me a discount card to decrease my monthly co-pay. The Prada folks were not impressed to say the least. Those shoes cost how much? Moving on. Tim and Kelsey re-joined me and we had a nice walk/talk. I told Kelsey she has to adjust her attitude and think that I WILL be around in the future for her instead of focusing on my death. She thinks I give her mixed messages which I kinda do. I am dying but I think I will stick around for a while or until something better comes along. A woman with 2 little boys had set up a table and a sign, asking for money to take them to Canobie Lake Park. I immediately forked over $5–if it is a scam, it is a highly creative one. The woman tells me she loves me and tells her little boy to hug me. Karma, not messing with it. Side effects—-horrible heart burn, nausea and really thinning hair. I am down to Linus-like hair but at least Linus had a Blanket too and Snoopy can’t have it. Had a dental appointment yesterday to replace two crowns. Oh my God, why didn’t I take some Ativan before? It sucked. My mouth has mucho sensitivity from chemo–mouth sores, fever blisters, lack of saliva–yuck. My dentist is very nice but he talks to me loudly and overly reassuringly–I don’t know if he thinks I am a little old lady or a 5-year-old. I want to get this over with and can only think of Steve Martin in Little Shop of Horrors singing about why he wants to be a dentist. My dentist makes me wear Stevie Wonder Black sunglasses–I guess it’s for “protection” but I can’t help but think it is so he cannot see my overly expressive blue eyes ( I have been told that before) and the misery I am in. Fortunately my food guru, Leila, sent over stuffed squash so I can eat dinner without abject pain. My new motto—“Work Less, Play More.” Wonder what my boss is going to think about that come September 1? You don’t have to be perfect, just be present. Love shows up. I remember so many things about you, from the time I met you. 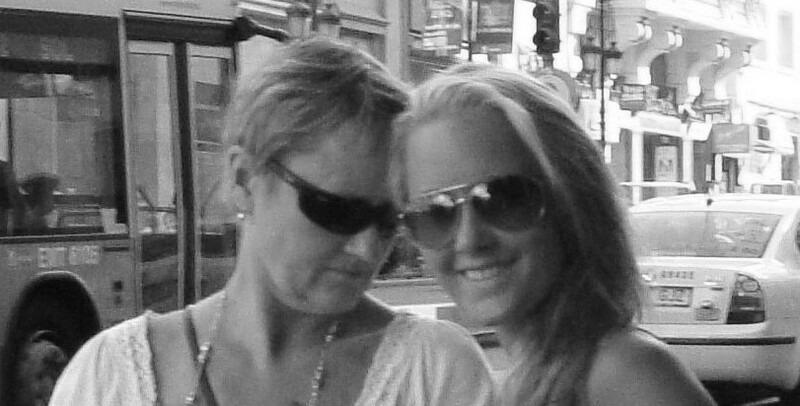 You are a strong, opinionated, loyal, fiercely loving woman who loves my brother unconditionally, and your daughters like a mamma bear. I admire and respect you for all the things you have accomplished in your life and all you’ve been through in the past 14 years. You will always be in my heart. Congrats on the mbcn money that was raised. Alot to be proud of! I hate the thought of death a lot…i mean who likes it-but its one of those things that always stays in the back of your mind. I think about losing my parents all the time. Not because im morbid or negative but because it is gonna happen and i dont want it to. I definitely understand where kelsey is coming from. Youre not my mom and i know you from the happy place and weve never seen eachother outside that happy place but it always brings tears to my eyes when i read the blogs. Idk…i just hate the thought of losing great people. I want to enjoy time while it is here and focus on the good going forward and not focus on what if…but its hard. I just dont understand why? Just why does this stuff happen in life…to good people…idk.